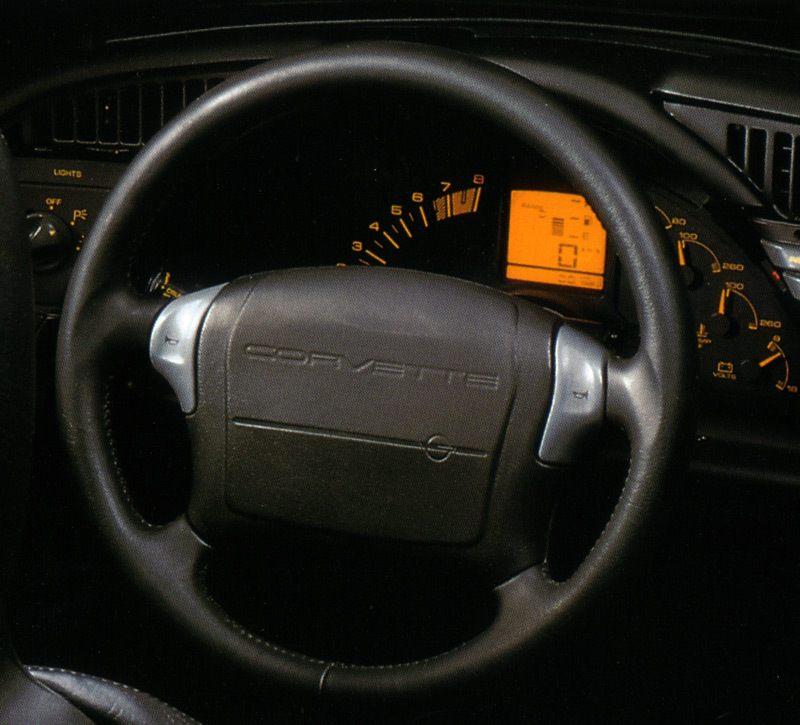 Changes for 1994 included a revised interior, which accommodated a passenger side airbag. The bad news was that it replaced the glove-box that everyone had grown to appreciate. Pockets were added to the door panels to make up for the lost storage area. 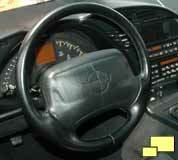 Above left: The steering wheel was redesigned as a two spoke. 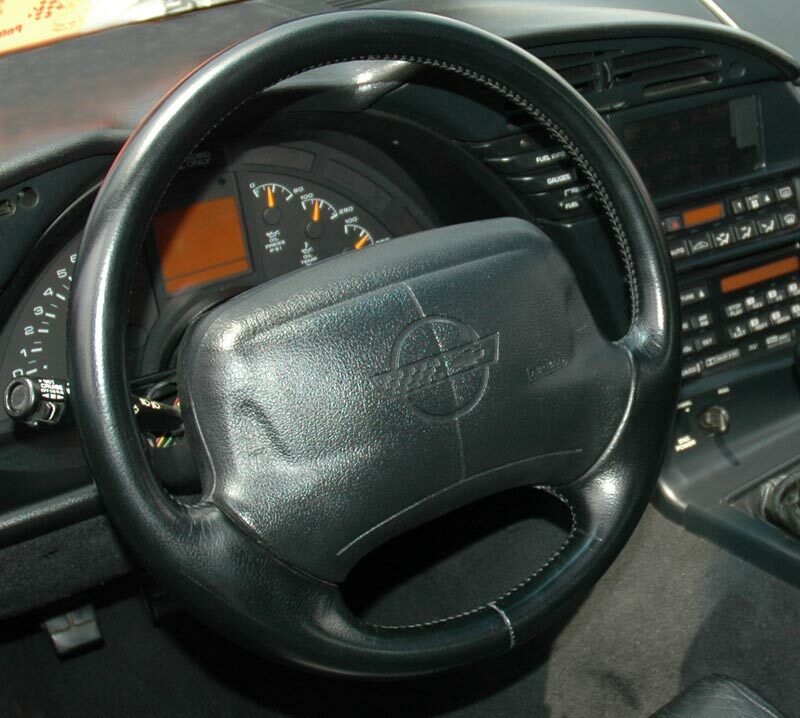 The move was regressive, as the earlier four spoke 1990 wheel (middle) had a lot more style. 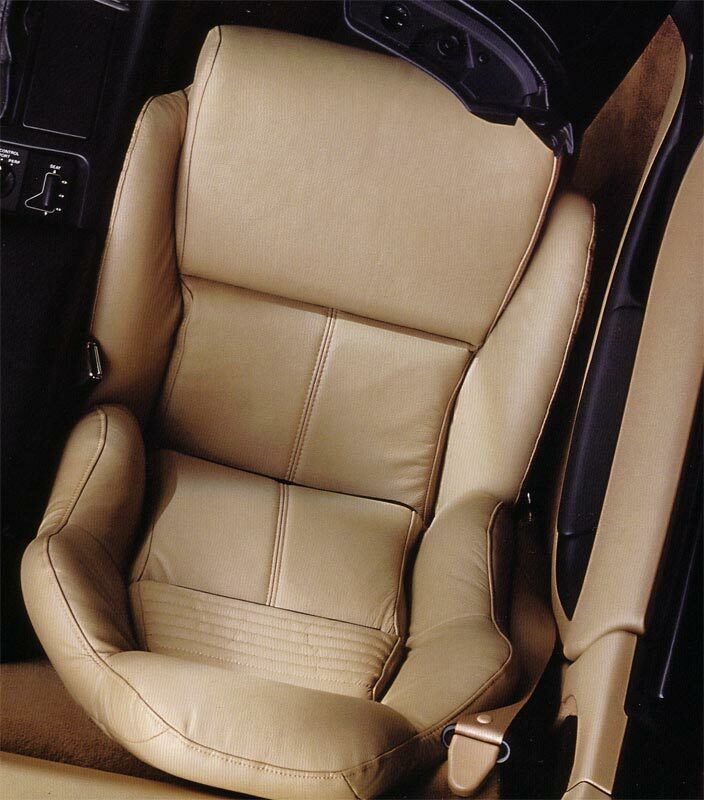 Right: The seats were redesigned with less of a side bolster. Entry and egress was easier and they fit a wider range of occupants but support during hard cornering was sacrificed. The new seats were leather only; cloth was no longer available. The convertible's rear window was upgraded from plastic to glass. Although physically smaller, it did feature an electric defogger and was a welcome upgrade. The four speed automatic transmission saw some technology upgrades. 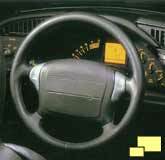 Electronic controls were added and the designation went from 4L60 to 4L60-E. The PCM (Powertrain Control Module) reach was extended and it now controlled the shift points which occurred closer to the peak engine power for better performance. Even Barometric pressure became part of the mix, with shifting characteristics changing as needed. Optional Goodyear run-flat tires (RPO WY5; $70.00) were introduced. The low tire pressure warning indicator (RPO UJ6; $325.00) was a required option with the run-flats. 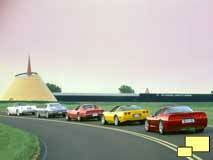 The National Corvette Museum opens in Bowling Green, Kentucky on September 2. Over the three-day weekend, 118,000 people visit the museum. 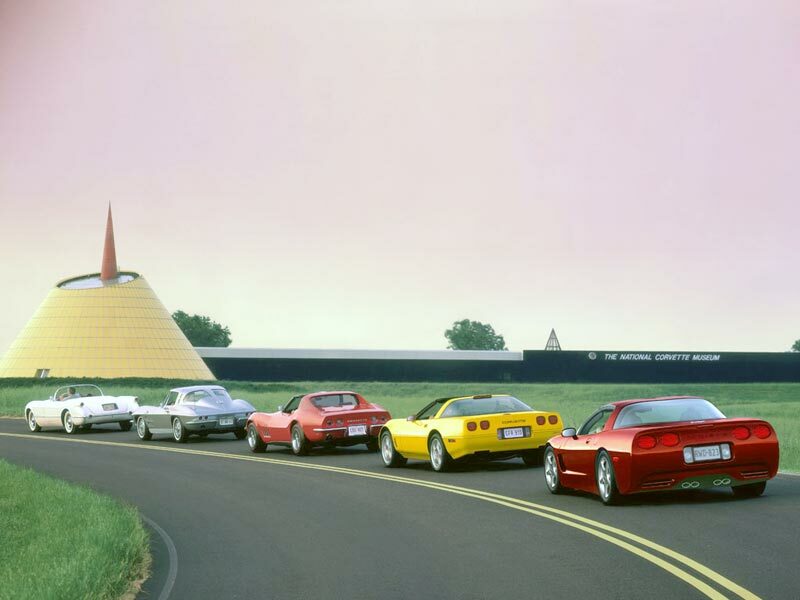 1994 Corvette: Official GM Photo. 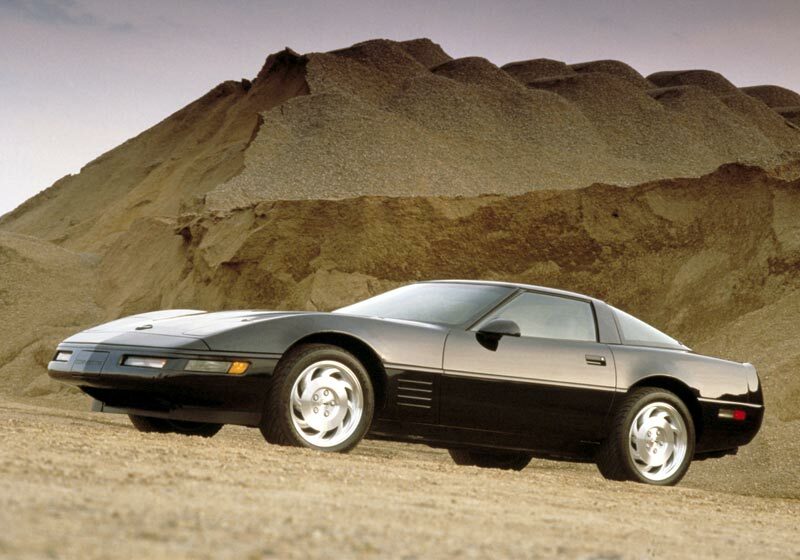 Notes: Base Corvette Coupe with 350 cu. in. 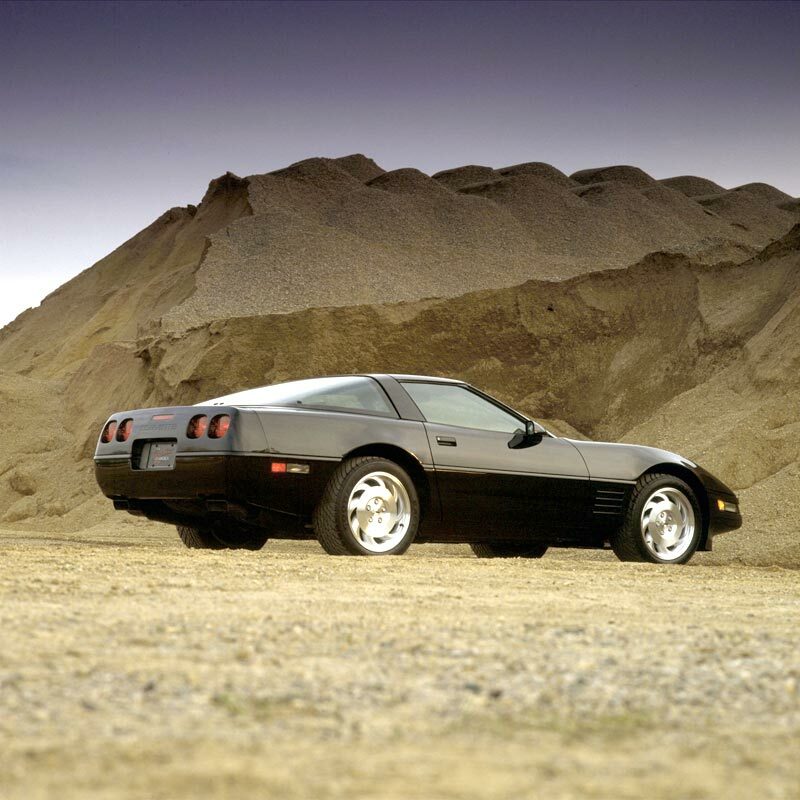 300 hp engine and four speed automatic transmission: $36,185.00. 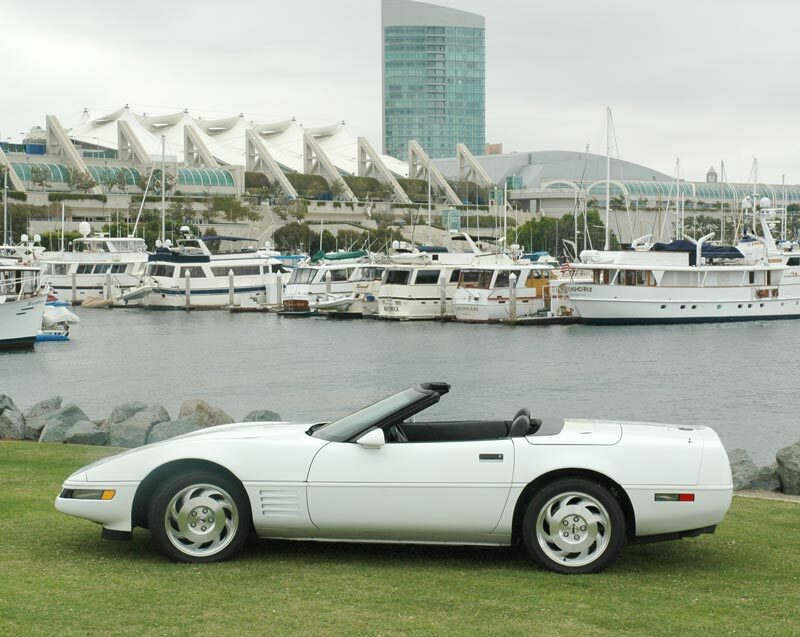 Base Corvette Convertible with 350 cu. in. 300 hp engine and four speed automatic transmission: $42,960.00.